Built-in dual CPU with multi-parallel processing architecture faster processing speed reader time <0.3 second open time <1 second. Maximum pen can be stored 40,000 credit card records, 40,000 pen coded data. Coding with fast, speed can be set to more than 1,000 strokes per minute. Two LED status indicators, built BUZZER can be set on or off. 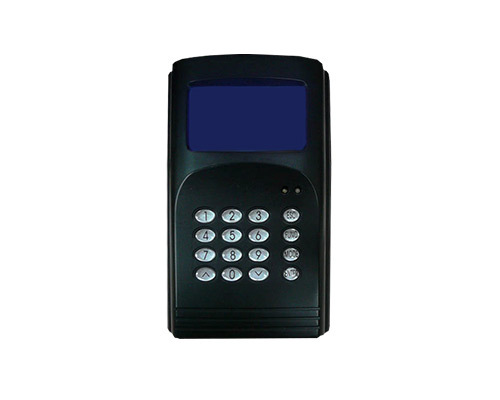 With the keyboard open or the key lock function to prevent other people from manipulation card keyboard. Successful reader while the reader the date, time and other records written back in the card for future reference. A reader junior warning function can be set to allow the number of failures reader automatically stop functioning. When network disconnection can stand-alone operation, does not affect the on-site control function. A group of 60 holiday regulatory function.